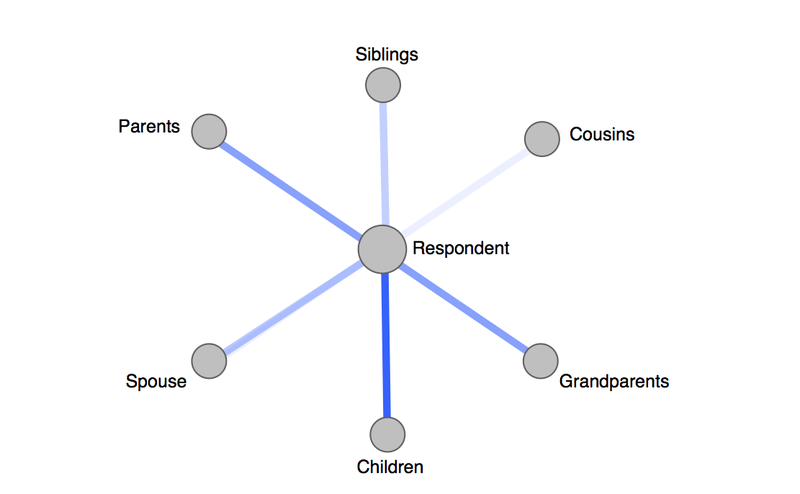 Political conflicts are rarely between two parties. In Iraq, for example, there were as many as 19 different groups engaged, including the Islamic Army in Iraq, Al-Qaeda in Iraq, the Jihadist Leagues, and the Just Punishment Brigades. In Syria, we see a similar picture, including the Free Syrian Army, the Syrian Liberation Front, the Syrian Islamic Front, and Jabhat al-Nusra. Many attempts to understand these kinds of situations group all the rebel forces together against a government. But neither are the rebels unified, and monolithic. Nor, necessarily, is the government. We explore a theory of the interactions among these various kinds of factions in order to better understand what kinds of actions are most likely to be undertaken. 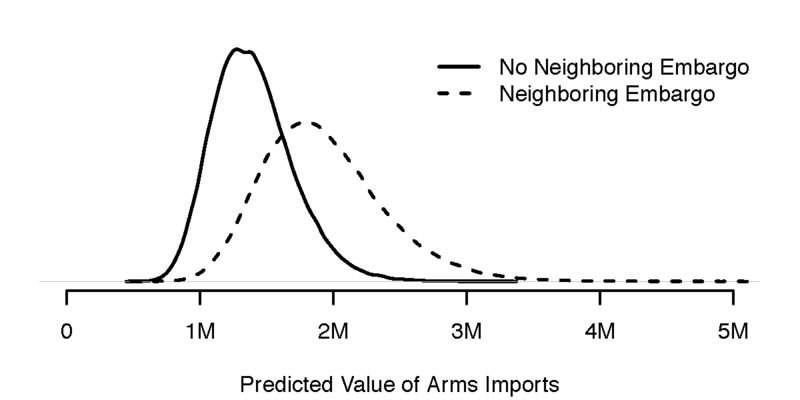 To do so, we combine elements of strategic calculation and the analysis of networks. The basic insight is the old saw, often attributed to the 6th century (BCE) Chinese general, Sun Tzu: hold your friends close, and your enemies closer. The top rug shows the different parties that are in power in Thailand during the observation period, with markers for changes in power. 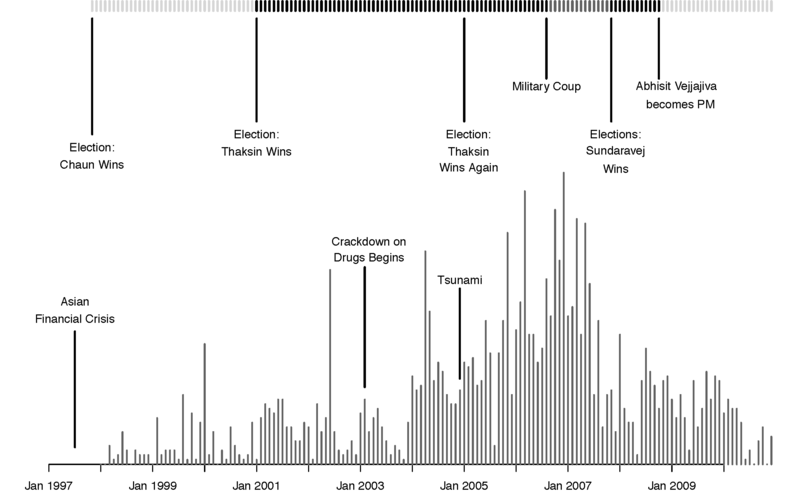 The bottom plot shows conflictual events in Thailand from 1998 on.